How to Direct a Handbell Choir. You've been asked to direct a handbell choir for your church's Christmas service and although you've played in handbell choirs, you haven't a clue as to what's required to direct one. Knowing the music and having played in a handbell choir provides enough experience to direct the handbell choir if you keep a few simple things in mind. Here's how to direct a handbell choir to get your group ringing. Set a practice schedule. Try to make it a time where everyone will be available, but also know that you can't pick a rehearsal time that's perfect for everyone. Pick a reasonable time during a weekday and you will have the best attendance. Select handbell choir music suitable for the experience of your group. If you're starting with a group that's new to being a member of handbell choirs, then keep your music to a two octave range. If you have an experienced group try a four- or even five-octave range piece, that is if you're comfortable directing such a piece. Have your bells, foam table pads, gloves and other accessories ready to go. Having the equipment ready to ring will eliminate wasting precious practice time in getting these things together. Make an initial adjustment to the bells and then let your choir make adjustments to the bells as needed. Give your more experienced people more bells and your less experienced choir members fewer handbells. 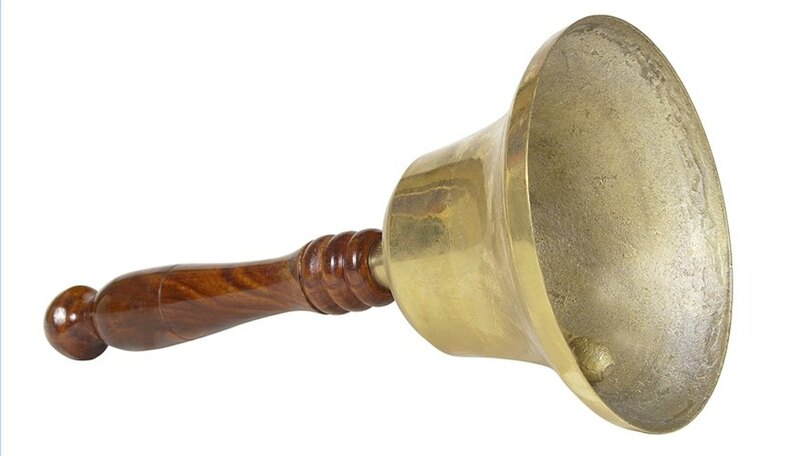 Some members of handbell choirs ring only one bell while others may ring four or more. Take time to discuss techniques and do exercises. This will help perfect the ringer's sound quality and help establish which person is more suited for a particular bell. Take this opportunity to switch positions and try people on new handbells. Since attendance for a handbell choir is of utmost importance, consider setting up an attendance policy.